FACT: 1/3 of our topsoil has been lost in the last 100 years. If we start now we can reclaim the soil in 10 years. FACT: 1/3 of the world lives in dirt structures. The “dirt” used is cool in the summer and warm in the winter. This documentary reminded me again of our relationship to this earth. We are intimately linked to the soil. Many of the folks interviewed were passionate about reclaiming our land and theirs, from USA, Europe, Africa and others and valued the soil. As humans living here we have a choice: to work with nature or against it. Natural fertilizers enrich the soil. Enrichment is the key word because this concept and application gives back the nutrients needed to grow our crops. Give and take: a relationship . Over and over from research scientists in the lab to those with a long history of farming know there is a language to the soil. What happens when fertile land is gouged out to make room for another housing area? Who will grow our crops? We’ve taken the farmer away from tending the land and replaced it with monocrop farming. Monocrops produce less not more. The tons of pesticides needed each year to grow these crops destroy the soil structure. Pesticides deplete the soil on all levels. Some bind minerals and make them inaccessible for the plants nutritional needs. Monocrops need excessive amounts of Nitrogen. The excess nitrogen flows into streams and oceans creating super weeds which mean a dead zone for the local fish and algae populations by increasing the amount of nitrous oxide in those waters. We are asking hard questions today and I am so grateful we are. My elders taught me to offer a prayer of thanks when taking a plant or animal from the land for consumption. To simply give back. Great things are happening around the world in relation to our relationship with soil, the crops we produce and consume. Autumn is here and finally showing her colors. My favorite leaves are the ruby reds of maples. They fall in the deciduous areas around me leaving bright red spots as if the forest is giving us precious gems before winter arrives and sweeps them all away. Autumn colors the mountains here and there while leaves float down to the ground reminding us that in the process of blossoming and growth there comes a time to let go so we can begin again. As many of you know I have been busy with book promotions. I have enjoyed meeting folks all over the state of Connecticut at various venues. Governor Malloy designated September 1st as CT Authors Day. We celebrated at the Mark Twain House. November 1st is designated national Authors Day and many bookstores and libraries are celebrating this event by inviting local authors to come and meet readers and sign their books. My books are in a couple of places. On November 1st I will be at the Book Club in Broad Brook participating in their event to honor and support CT authors. We are very lucky. Along the way though, I have had the wonderful opportunity to meet two young gals who both happened to be named Ruby. I have not come across this name among my friends having grandchildren. I was intrigued by this synchronicity as ruby happens to be my birthstone. Apparently it was a popular name from 1900-1936 here in the US. Today it is quite popular in Australia. The first gal approached me at a street festival. Fourteen, with a faceful of pretty freckles, she proclaimed to love gardening and often helped in her family’s garden. We got to talking about the Native American respect for the land I discuss in my book, At the Garden’s Gate, and the teachings found on the medicine wheel. Since she is interested in wild plants and their uses I showed her the wheel I created using 12 plants to pair a teaching and their uses. She came over more than once and we engaged in garden discussions. She convinced her grandmother to buy the book for her. I was moved, touched and so pleased that some of her generation want to take care of the land. The second young lady I met at a different venue is nine. She approached me at my booth about gardening and we got into a good discussion on gardening. She shook her head full of pretty curls quite affirmatively and vigorously when asked if she likes to garden. Her grandmother assured me she’s a big help. I told her a crow story. Her grandmother bought my book and again I was moved, touched and pleased to have the acquaintance of a young one interested in being in the garden with all the bugs and dirt, pretty flowers and nourishing vegetables and love it. These two young ladies felt precious to me much like their name. Ruby’s are considered more precious than diamonds. They are the gemstone of the sun and worn to promote physical strength, good health. Rubies are a talisman of protection, passion and prosperity and promote vitality of the physical body and spirit. These two will need all these attributes to make changes in the world. It seems to me their name, Ruby, is apt for their spirits and their potential. We are lucky to have them in our communities. I am hoping my book plants a seed more deeply for them and gives them some tools to make the contributions they came in to fulfill. Life is filled with many gems. I happened to meet two of them. 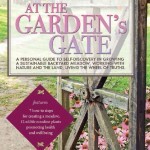 Judith Dreyer, MS, BSN, Writer, Speaker, Holistic Health Consultant and Workshop Presenter, Master Gardener. © all rights reserved. As some of you know I have been busy with book promotions. It seems like a daunting task. However as I read Divergent this summer, a young adult novel by Victoria Roth, I looked into the meaning of daunting and dauntless as descriptive words. Daunting: intimidates through fear while dauntless is brave, invulnerable to fear or intimidation. I had to revise my description of book promotion to a dauntless proposition. While not totally invulnerable to the fear of the unknown, like Tris, I do it anyway. New writers are learning the trade of selling books from the ground up. Many of us come into writing from passion, eager to write our story, tell our tale. We sense that the world changes we are a part of have changed the nature of our experiences and changed the face of publishing. Instead of waiting for agents to call and collecting rejection slips, we now have a chance to publish and for many of us we have a chance to see our stories in the hands of readers. We claim the power of storytelling whether overcoming trauma in many forms, to telling tales of murder and mayhem. It doesn’t matter the genre, most are popping with new authors who tell outstanding stories whether fact or fiction. We have created a renaissance of creative works flowing into our mainstream of activity and consciousness. I, for one, have been a bibliophile and the choices out there are many and easily available. Resources to support the process flourish. Editors, illustrators are easily found and often affordable. Printing presses can help. I haven’t been as focused on this blog as I would have liked. We have a very active APSS group here in CT. We get invited to craft shows, expos, libraries, book stores and more for book signings. Each venue is a chance to talk to our readers, get an opportunity to hear what they are interested in and how our story may impact them. It’s also been a chance for me to get to know other Connecticut authors. The writing styles differ. The approaches are as varied as we are. The resources shared are worthwhile, helpful and credible. It’s been a moving experience. Though I still get overwhelmed by what I don’t know I keep moving forward and am taking advantage of the advice given. This year has been a year of dauntless growth. Tackling the webinars of information, learning something every day about self- publishing, reading and reading even more to sharpen marketing skills. The gift for myself has been speaking engagements, discussing the holistic concepts of body and soul and the interconnectedness we share with the earth has been magical. It is said that when we follow our passion, the universe answers. Each step is just as important as the next. I accept it all. I had a dream recently to get going on my next book. I intend to take advantage of NaNoWriMo in November, a national challenge to write 50,000 words in one month. It could be a daunting task but I chose to view it as a dauntless one. I will keep you posted. Winter is over. Spring begins. Our wheel of seasons turn, an endless cycle of birth, growth, harvest, death and rebirth. Gardens are clean, some have begun planting all in anticipation of the gifts to come. My Native American elders taught me to give thanks this day for the blessings of winter that is ended. What gifts came in this season? Did I utilize the quiet time to mend, repair, tell and enjoy the stories? Like the bear I feel the waking up time of stretching into the sun, feeling springs breath upon my cheek, hearing the mating sounds of the birds. Daffodils and crocus bloom here before the trees dress themselves in new leaves. The wind still blows in from the northwest and contains a chill but the air is fresh and for that I am grateful. Spring blessings to all of you. Roots, a part of nature, a part of us. Roots anchor a plant into the earth in the best way possible for that plant. We looked at the many examples of root structures. Each one is designed to provide support, nourishment, water and creates a foundational beginning and under the right circumstances provides an environment that sustains growth not just for itself but for others. From these seemingly simple structures we have food, clothing, shelter and the list of products alone from trees is amazing. The Idaho Forest Products Commission has an interesting list of products made from our trees, titled “Wood You Believe”. Roots anchor and our families, our roots, do the same thing. We are born into a specific family group and under the right circumstances we thrive. Some of us had to be scrappy, develop resilience much like the weeds that grow in sidewalk cracks. Some of us were tended and even pampered like the rose. Most of us fall somewhere in between needing our families to get started for nourishment and growth and then when the time is right blossom. Genealogy helps us uncover our roots, shows us the depths of our family in all its color and flavors. As we seem to travel all over the globe and become uprooted from our family and friends we begin again much like the plants the early colonists brought here that provided new medicines and foods. 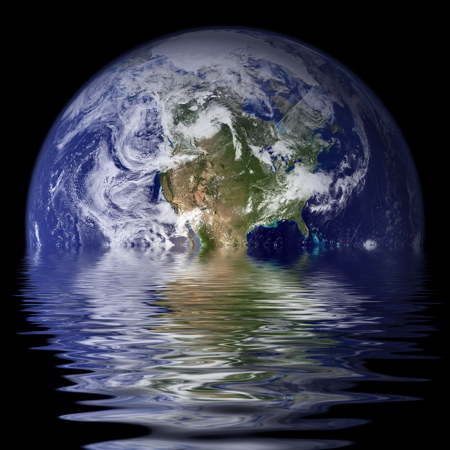 With care and attention we root ourselves anew in new locations, even new countries were climates may be different and we have to learn to adapt. For me I had to know something of my Native American ancestry. It became a quest to find something about this culture who lives in my DNA. Root cellars were important for early settlers to protect and prolong storage time so families could make it through the East Coast North American winters. Now we are seeing a resurgence of interest in root cellars for a few important reasons: they can help reduce expenses and provide storage for food during these turbulent economic times and our recent damages due to unusual storms. It is believed that root cellars began over 40,000 years ago with the Australians. Other cultures like the Chinese used pickling, salting and spices. Egyptians were experts in drying. There is a knack for storing fruits and vegetables because of their particular properties. There are many books written on the subject for those of you interested in planning a root cellar for your family. The site highlighted above is a good place to start. Roots whether plant or human we have a lot in common. Do you have a root cellar? any stories? Do you have a family member who is deeply rooted into your life, your DNA? 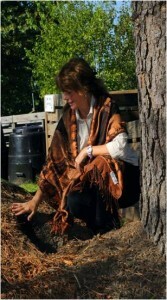 I would love to hear your stories about roots and what it invokes for you. 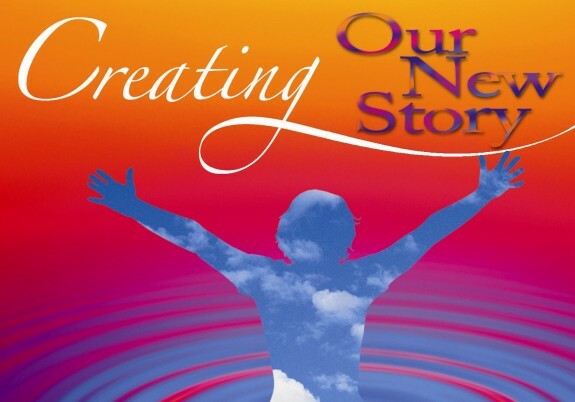 I am pleased to announce a new workshop titled: Creating Our New Story that I am developing and presenting with Bruce Winkle in Leesburg, VA.
We are in a new time, a new vibrational pattern of viewing and living on this planet. Tremendous changes have occurred and we can make a difference. We invite you to join us as we take a journey towards creating our new story We offer specific meditation work and understandings that are relevant to all of us as we listen more deeply to the call of our passion. What is our heart telling us? What stories can we create filled with respect, integrity and hope for the good of this world no matter where we work and live. What dreams do we want to manifest? How can we work together creating a more stable community where we feel honored again? Tuition: $79.00/person Please bring lunch; tea and snack will be provided. If you would like more information please leave your name and contact information and send to the above. I am excited to be creating and sharing at this time. Its as if we have a palette of possibilities before us unlike any time in the last millennium. I hope you will join us.